January has not been particularly kind to Jonathan Marchessault. 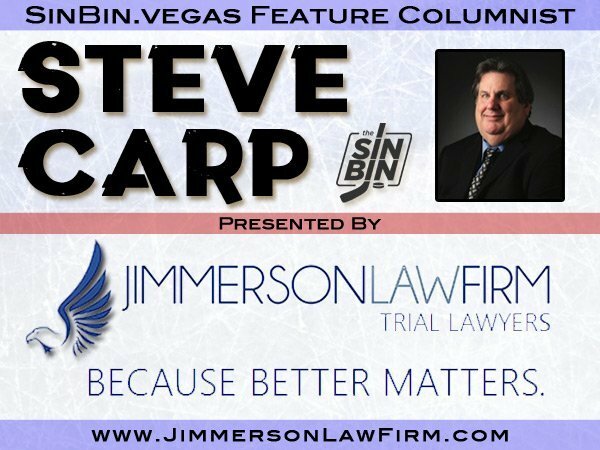 The Golden Knights’ right wing had spent most of the month frustrated and being thwarted by opposing goaltenders and the net which they protect. Great saves. Hit posts and crossbars. Missed opportunities. 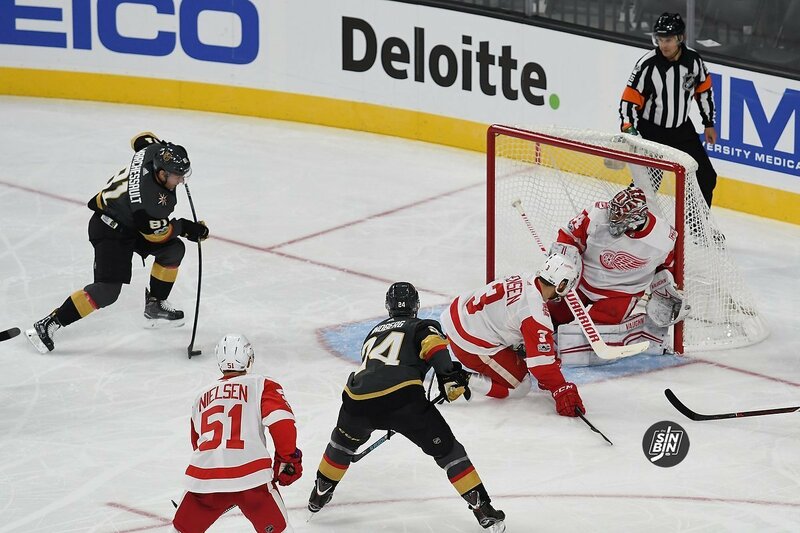 They all contributed to a stretch that saw Marchessault kept off the scoresheet for six of the team’s first seven games in the opening month of 2019. You could see the frustration on his face. But to his credit, Marchessault never stopped working, never stopped shooting. The good ones never do. He’s like a basketball player whose jump shot eluded him but he doesn’t stop taking jumpers. Eventually, they’re going to go in. And that’s what is happening to Marchessault. He had a hat trick last Saturday in the 7-3 win over the Pittsburgh Penguins. Monday, he picked up an assist in the 4-2 loss to the Minnesota Wild. That’s four points in his last two games. So, is Marchy out of his slump? We’ll get a better idea tonight when the Knights host Nashville at T-Mobile Arena in what is a very important game heading into the All-Star break. Marchessault may be reunited with linemate Reilly Smith, who has been out since Jan. 8. He has been skating with Brandon Pirri the last couple of games and that may have had something to do with his getting back on the scoresheet. But getting Smith back would be big, not just for Marchessault and William Karlsson, the other member of the team’s top line, but for the Knights themselves. You saw what defenseman Colin Miller’s return has meant to the team. Getting Smith back improves the power play, improves the penalty kill and make the other lines stronger. It also helps get the Knights closer to normalcy in terms of having the roster they envisioned at the start of the season. Marchessault has not missed any time in 2018-19. He is one of four Knights to have played all 51 games to date (Karlsson, Brayden McNabb and Nick Holden are the others). Despite the early January drought, he still leads the team in goals with 17 and is second on the team in overall points to Alex Tuch with 35. I think Marchessault’s confidence is returning. He seemed more relaxed on the ice Monday and appeared to have a little more energy. The bad news for him is that tonight is the last game for the Golden Knights until Feb. 1. The All-Star break and the team’s mandatory hiatus from the NHL schedule are meshed together and while the eight days off between games will no doubt help he and his teammates heal up from their assorted bumps and bruises, it also gets them out of their rhythm. And when you’re going good as Marchessault appears to be doing right now, the last thing you want is to be idle. My guess is he’ll be fine. As long as he continues to shoot, and he will (Marchessault leads the team with 189 shots on goal), the puck is going to go in for him. While Marchessault isn’t going anywhere, the Knights bid farewell Monday night to defenseman Brad Hunt. And that was a bit of sad news. As you know, Hunt was traded to Minnesota for a fifth-round draft pick. He wasn’t playing much and he asked his agent to ask general manager George McPhee if he could be moved somewhere where he could get more ice time. GMGM accommodated Hunt, who was in the lineup Wednesday for the Wild against Colorado. While Hunt may not have done a lot on the ice, he was a great ambassador for the team off of it. He was always available to appear at team functions, was visible in the community, was always accountable and was friendly with those in the media who cover the team. Best of all, Brad Hunt is a good person. I wrote a story last year for the Review-Journal about Hunt’s friendship with a young boy who had Down’s Syndrome that Hunt had befriended while playing minor league hockey in Oklahoma City. He invited the boy and his family to Las Vegas to watch the Knights play and made sure he spent time with them after the game. I hope it works out for Hunt in Minnesota. He is a good, solid hockey player who can play in the NHL. And I look forward to seeing him on March 29 when the Wild returns to Las Vegas to face the Knights. Hunt AND a 6th round pick was traded for Minnesota’s 5th rounder. In other words, they gave him away for nothing.